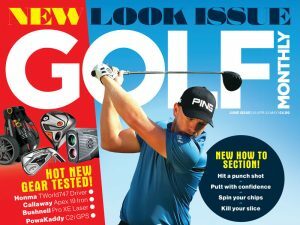 Are you haunted by visions of shocking shots in your golfing past? If you can recall past memories of your most awful games, holes or shots, then you can almost certainly do the same for your good memories. It’s my guess you probably spend more time recalling your bad experiences. Why? Because you will be trying really hard to understand where you went wrong so you can remedy the mistake. Golf is largely taught as faults and fixes. Unhappily for most golfers this approach to their mind game reinforces a self-fulfilling prophecy. It ensures they are destined to repeat their mistakes. In fact the better they are at remembering these experiences, the better they will be at repeating these moments when they play. Take shanking a shot as an example. Most amateurs I have coached can describe this shot with great clarity. They know exactly what it looks like, sounds like and feels like. Which is precisely why they are so very good at repeating it. This is why you need to blur these memories. RELAX Find a quite place and comfortable chair, take a deep breath and get into a calm and relaxed mood. GOOD SHOTS Relive the experience of a great shot. Stay with it for a few moments and really enjoy the experience. Repeat for other specific great shots one at a time. This will begin building muscle memories of shots you want to repeat to lower your handicap, not those you don’t want. BAD SHOTS Recall a specific picture of you hitting a bad shot in your mind’s eye and, taking your time, try to diminish the vividness of this memory. After a longish break try to get the picture back, and you may notice that you can’t? Do this for other bad shots. This process will lessen most players’ natural tendency to recall vivid memories of bad shots and the propensity to replay them! Following these steps will seriously improve your shot making simply by reinforcing your good memories and discarding your bad ones. David Norman has more than a decade of professional golf psychology experience and has coached several of the world’s most successful PGA tour professionals.